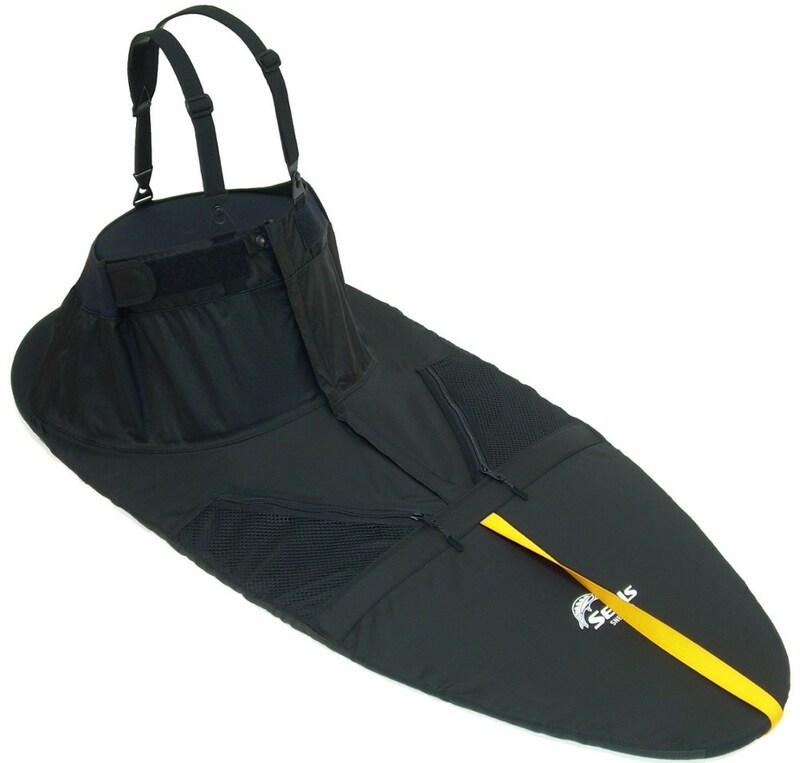 An enhanced version of the best-selling Seals Shocker Sprayskirt, the Pro Shocker boasts a Kevlar-laced topside edge guard reinforcement for added protection when performing boat on boat rescues. 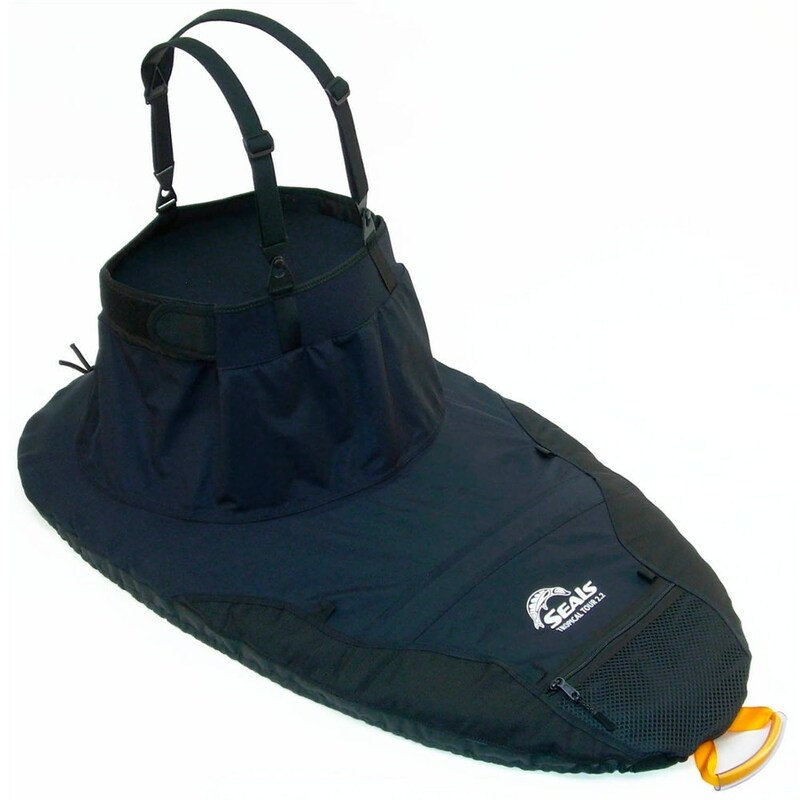 A favorite among pro paddlers and instructors, the Pro Shocker sprayskirt is great for paddling in extreme conditions.This product will be shipped directly from Seals and will leave their warehouse in 2-3 business days. Eligible for UPS ground shipping only.Click here to find your Seals size. . Made of high-performance 4 mm neoprene with glued, stitched, and sealed seams. 3/8 in. stitched bungee attachment secures the skirt to the rim of the cockpit. Rim grip/safety slip technology keeps the skirt securely in place. 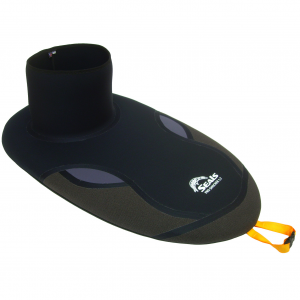 Top-edge wear guard with 22% Kevlar fibers adds exceptional durability. Form-fitting, anatomical neoprene tunnel (check size chart for proper sizing) is 9 in. tall. 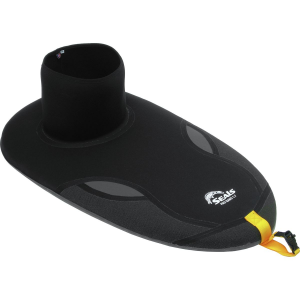 Grab loop features an integrated whistle for on-water safety. 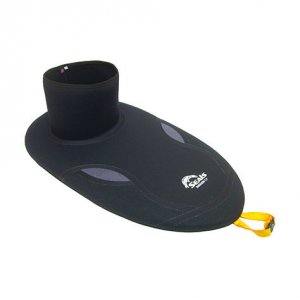 Best for extreme paddling conditions (large and irregular wave action capable of capsizing your boat). All Seals sprayskirts and accessories are cut and sewn in the USA. Custom sizes and colors may be available. Please call customer service at 1-888-463-6367 to learn more about a special order. Additional charges may apply.. Please see size chart for waist/midriff sizing.